As a general rule, movie studios are rarely thrilled when their multi-billion-dollar franchise stars pipe up about politics. Jason Momoa, who will debut in November as film’s first live-action Aquaman in DC and Warner Bros.’s Justice League, knows the implicit no-politics rule, too. He just doesn’t care about breaking it. To his overlords’ chagrin, Momoa and his fellow Earth defenders—Gal Gadot (Wonder Woman), Ben Affleck (Batman), Ezra Miller (The Flash), and Ray Fisher (Cyborg)—issued a collective YouTube “shout out” last year to the Oceti Sakowin water protectors opposing the Dakota Access Pipeline. 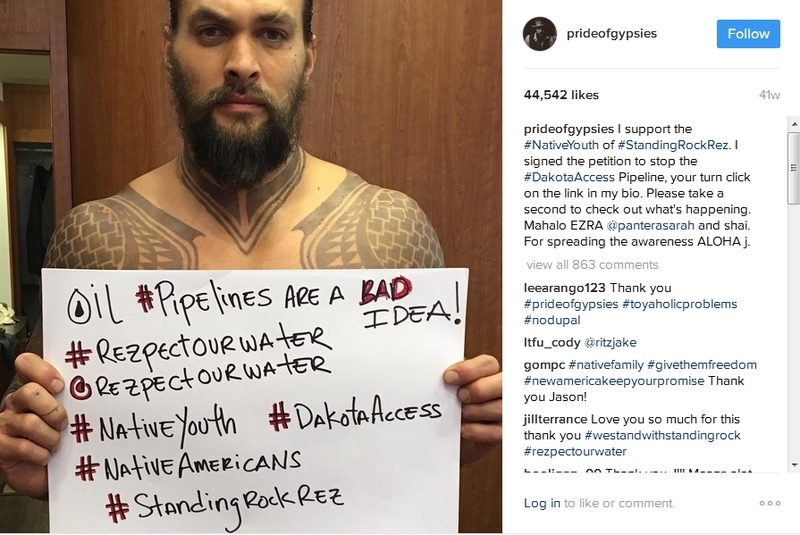 In an Instagram post, Momoa urged fans to sign a petition against the oil pipeline which, according to activists, threatens to pollute water sources and disturb sacred burial grounds on the Standing Rock Sioux reservation. 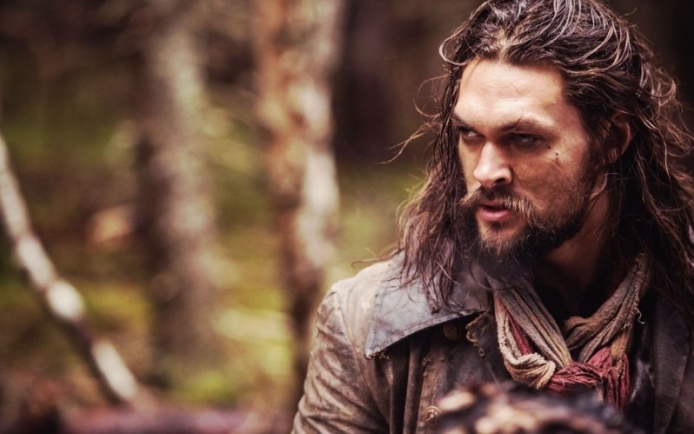 In an interview the week of Trump’s inauguration, Momoa, who is part Native American, held out hope that the U.S. Army Corps of Engineers’ suspension of the project would hold. (“I’m pretty spooked to find out what happens,” he admitted. “It’s really scary.”) It lasted all of four days. An executive order unblocked the project and, on Friday, the administration sent law enforcement to clear the area of dissenters. I don’t mind standing up for what I believe in. You get your hand slapped for doing something and you’re like, “Eh. It’s something I believe in.” It’s tough. It’s tough for them. Some people don’t see their views, I get it. People are like, “Oh, there’s some actor out there doing this and doing that.” I just prefer to put it out there because you can use your social media to get out some things that people may not know about. It’s how I find some things out, so I just want to be able to pass it on. I spoke up a lot about Mauna Kea and fought for what was happening on the Big Island. There’s a lot of things I would definitely go to bat for in Hawaii. I’ve been all over that stuff. If someone told me to be quiet about that because of my profession, no. That’s my people. Responses to "Jason Momoa on Speaking Out for NoDAPL: ‘I Don’t Mind Standing Up for What I Believe In’"
I think that is awesome. His voice can reach many people . Just like he said he wants to stick up for his people. I wish more people were like him speaking up and not sitting back. One person can change things they can get the ball rolling so to speak .